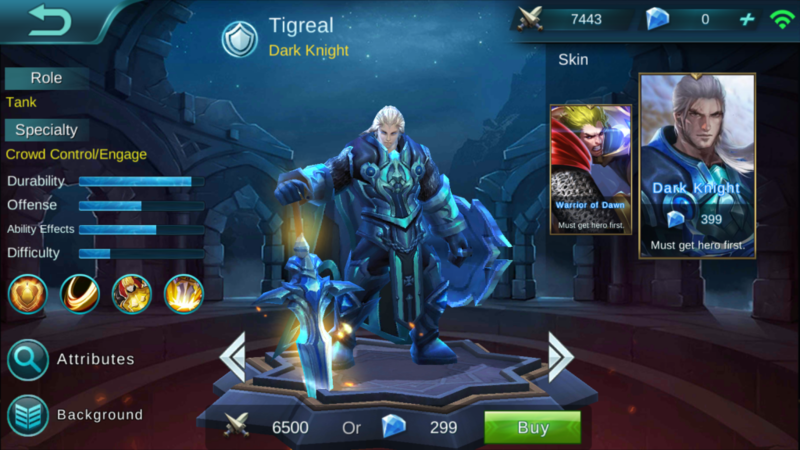 Tigreal is a well rounded tank with great durability. Use him as a wall to soak up damage for your heavy hitters. 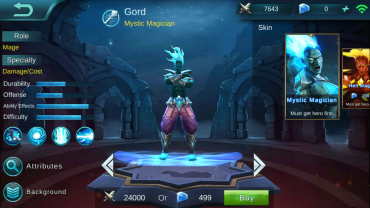 Description: Each attack increases his physical and magic defense 3 pts, stacking up to 10 times. Description: Fires an attack wave in a specified direction, dealing 300 pts of physical damage to the enemy and lowers the enemy’s movement speed 50%, lasting 2s. Description: Rushes in a specified direction and collides with the enemy, dealing 180 pts of physical damage and knocking the enemy airborne. Description: Focefully thrusts his sword into the earth, pulling surrounding enemies to himself and dealing 340 pts of physical damage and stunning them for 1.5s. 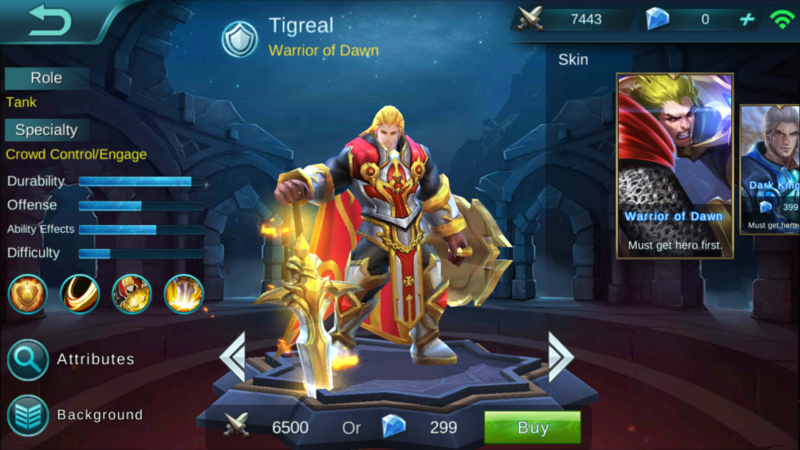 In every battle, the mystic warrior Tigreal always fought in the front line and never suffered defeat. Even the vilest of enemies did not dare to challenge Tigreal on the battlefield, because they knew such a foolish action would only be met with Tigreal’s merciless blade. 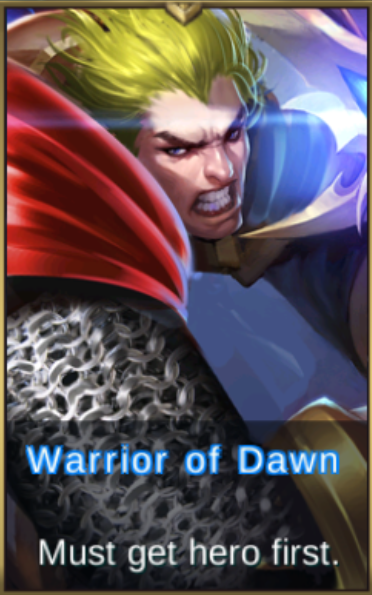 The name of Tigreal, a believer in th Lord of Light, has become synonymous with bravery and fearlessness. His kingdom has conferred upon him the honorable title of Warrior of Light as a reward.